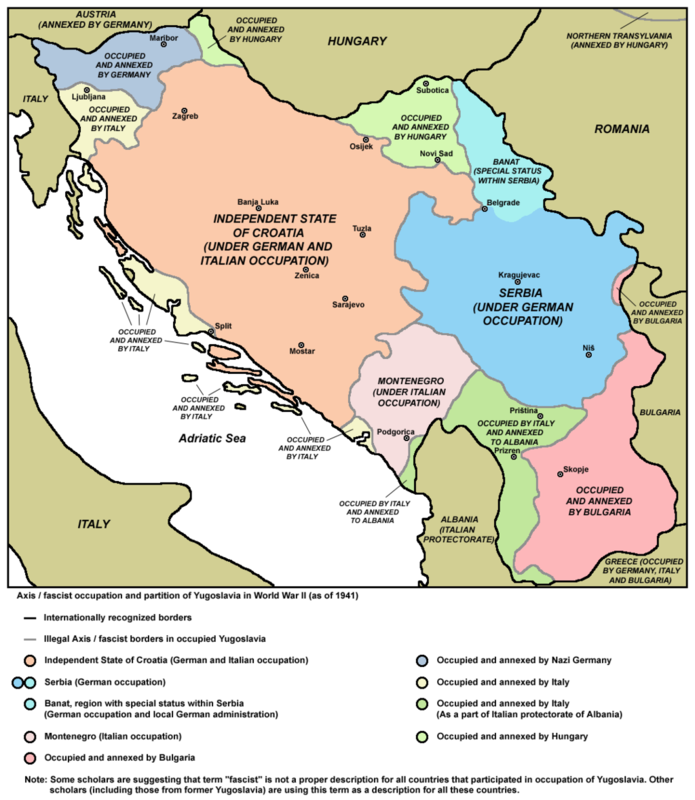 However, the most important post-April War creation on the territory of ex-Kingdom of Yugoslavia was an Independent State of Croatia that was officially proclaimed on April 10th, 1941. It was composed by Croatia, Slavonia, parts of Dalmatia, Bosnia-Herzegovina and the East Srem (today in Serbia). The official name of the state was Neovisna država Hrvatska (the NDH) with a capital in Zagreb. It had 6.663.157 inhabitants according to the last pre-war census and covered the territory of 102.725 sq. km. 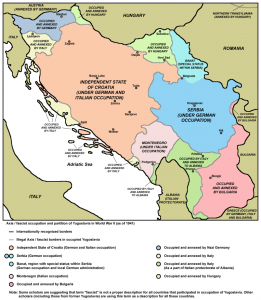 [ii] According to the Rome Treaties from May 1941 the NDH gave to its patron Italy Kastav and Sushak with its hinterland, the islands of Krk and Rab, the North Dalmatian and parts of the Central Dalmatian littoral, the biggest part of the Adriatic islands and a part of Konavle. Therefore, Italy realized all paragraphs of the secret London Treaty signed between Italy and the Entente in April 1915. Nevertheless, after the capitulation of Italy on September 8th, 1943 the NDH tried to incorporate parts of Dalmatia but did not succeed to establish a real state-administrative sovereignty over these territories due to the German obstruction. 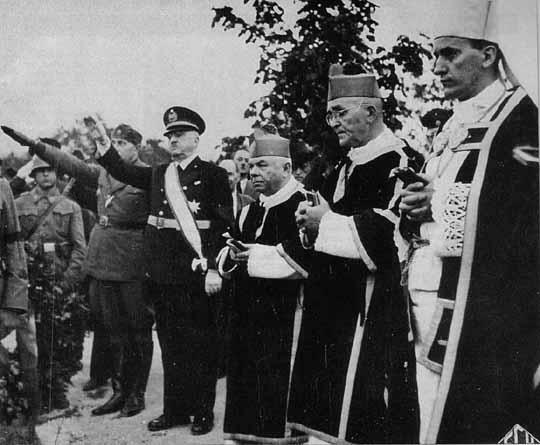 The Italian installation of the Ustashi regime in the NDH meant nothing else than the Serbophobic Roman Catholic fanatics were now in power in a state where the law and order were framed on the pattern of the Nazi Germany’s anti-Jewish law and order – in a state whose population was barely 50 per cent Croat followed by 12 per cent Muslims (today Bosniaks) and at least one-third the Serbs whose destiny was to disappear by these or other means. The Bosnian-Herzegovinian Muslims officially were declared by the Ustashi regime as the “flower of the Croat nation”, i.e., as the ethnic Croats of the Islamic faith and as such the Bosniaks took a full participation in the Croat-run four years sadistic genocide against the Orthodox Serbs. During the war the most infamous Bosnian-Herzegovinian Muslim military unit was the SS Hanjar Division that was inspected by H. Himler himself. However, differently to the Muslim case in the NDH, the implacable extreme Serbophobic regime in Zagreb sought to exterminate all Serbs on the territory of the NDH according to the self-proclaimed principle by the NDH Minister of Education, Mile Budak on June 22nd, 1941: one third to kill, one third to expel and one third to convert to the Roman Catholicizm (to Croatize). [vii] The first laws in the NDH were to ban the Cyrilic script and to outlaw the Serbs who had to wear a special sign on their cloths that they are the Orthodox. [viii] The Serb Orthodox churches and schools were firstly closed and later destroyed. The Ustashi organized bloody massacres of the Serbs even inside the churches (in Glina in August 1941) or the schools (in Prebilovci in August 1941). Deportations of the Serbs to Serbia were part of the Ustashi-designed “Final Solution” of the Serb Question in the NDH – in 1945 there were around 400.000 Serb refugees in Serbia from the NDH. We do not have right to forget that the essence of the NDH was that this state was the first Vatican-sponsored state in the Balkans. The Roman Catholic Church in the NDH put itself to the full exposal to the new Nazi Roman Catholic Ustashi authorities and even participated directly in the massacres of the Orthodox Serbs. [ix] For the Roman Catholic clergy in the NDH one of the most controversial demands of the Ustashi authorities was the conversion of the Serbs to the Roman Catholicism. In principle, the clergy was uncomfortable with this policy of direct conversion, without the converts first accepting the Union act (recognizing the Pope as a head of the church but keeping Slavonic liturgy). Nevertheless, the Roman Catholic Church in the NDH accepted a forced conversion of the Serbs under the formal pretext of saving their lives. It is estimated that a total number of converted Orthodox Serbs in the NDH was around 300.000, but it is recorded also that many of already converted Serbs became anyway murdered by the Ustashi detachments. In the spring of 1943 the Ustashi government created a Croatian Orthodox Church that was headed by Bishop Hermogen – the Russian Orthodox priest who escaped from the USSR. Ustashas chopping heads of the Serbian POWs off with axe in a concentration camp. Subsequently, it is not of any surprise that the U.S. President Th. F. D. Roosevelt told in 1944 that after the war the Croats as a nation has no any right to their own national state as they showed to be the animals during the war. For such nation as the Croats were, Roosevelt anticipated an international monitoring but not any kind of Croatia. 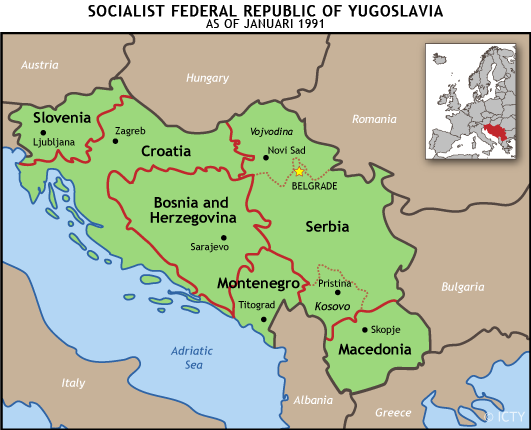 However, after the war a Croat led the Communist Party of Yugoslavia created even bigger Croatia within Yugoslavia than it was before the war reducing Serbia into the borders before the Balkan Wars of 1912−1913. Finally, the Croats backed by Vatican and Germany continued a policy of the NDH in 1991 and in essence succeeded as today in Croatia there are only up to 4 per cents of the Serbs in comparison to 25 per cents in 1940 or 12 per cents in 1990. [i] B. Petranović, Istorija Jugoslavije 1918−1945. 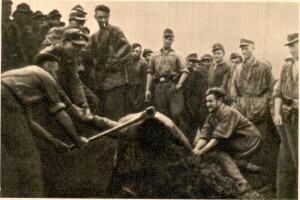 Druga knjiga: Narodnooslobodilački rat i revolucija 1941−1945, Beograd: NOLIT, 1988, 25−51. [ii] S. Srkulj, J. Lučić, Hrvatska povijest u dvadeset pet karata. Prošireno i dopunjeno izdanje, Zagreb: Hrvatski informativni centar, 1996, 105. [iii] T. Judah, The Serbs. History, Myth and the Destruction of Yugoslavia, New Haven−London, 1997, 117. [iv] М. Екмечић, Дуго кретање између клања и орања. Историја Срба у Новом веку (1492−1992). Треће, допуњено издање, Београд: Евро-Ђунти, 2010, 438. [v] V. Maček, In the Struggle for Freedom, London, 1957, 230. [vi] On this issue, see more in [В. Ђ. Крестић, Геноцидом до велике Хрватске. Друго допуњено издање, Јагодина: Гамбит, 2002]. [vii] According to Hrvatski narod – official NDH newspaper, dated on June 26th, 1941. [viii] ХД Хрватска држава геноцида, Двери српске. Часопис за националну културу и друштвена питања, Год. XIII, број 47−50, Београд, 2011, 24−31. [ix] V. Novak, Magnum Crimen. Pola vijeka klerikalizma u Hrvatskoj, Zagreb, 1948−Beograd 1986; V. Dedijer, Vatikan i Jasenovac, Beograd: Rad, 1987; M. A. Ривели, Надбискуп геноцида. Монсињор Степинац, Ватикан и усташка диктатура у Хрватској, 1941−1945, Никшић: Јасен, 1999; Л. Лукајић, Фратри и усташе кољу. Злочинци и сведоци. Покољ Срба у селима код Бања Луке Дракулићу, Шарговцу и Мотикама 7 фебруара и Пискавици и Ивањској 5 и 12 фебруара 1942. године, Београд: Фонд за истраживање геноцида, 2005. [x] Р. Л. Кнежевић, Ж. Л. Кнежевић, Слобода или смрт, Сијетл, 1981, 44. [xi] O. Talpo, Dalmazia: Una cronaca per la storia (1941), Roma, 1985. This book is of the crucial importance for the reconstruction of the Croat-Muslim massacres of the Serbs as it contains the large number of the Italian military and other documents from the Italian archives. See more on this issue in [S. Avramov, Genocid in Jugoslavija, Beograd, 1995]. [xii] C. Malaparte, Kaputt, Evanson IL: Northwestern University Press, 1997, 266; B. J. Fišer (priredio), Balkanski diktatori. Diktatori i autoritarni vladari jugoistočne Evrope, Beograd: IPS−IP Prosveta, 2009, 229. [xiii] V. Žerjavić, Population Losses in Yugoslavia 1941−1945, Zagreb: Dom i Svijet−Hrvatski institut za povijest, 1997. [xiv] М. Екмечић, Дуго кретање између клања и орања. Историја Срба у Новом веку (1492−1992). Треће, допуњено издање, Београд: Евро-Ђунти, 2010, 445. One more excellent article by Mr. Sotirovic. In Italian language there is a very documentary book by Aurelio Rivelli, „L’arcivescovo del genocidio”, Milano, 1999 about Alojzije Stepinac – a Archbishop of Croatia at the time of Independent State of Croatia. The book clearly presents direct connections between Ustashi regime in Zagreb and the Roman Catholic Church in NDH. Magnum Crimen the book about clericalism in Croatia from the end of 19th century until the end of the Second World War. The book, whose full title is Magnum crimen – pola vijeka klerikalizma u Hrvatskoj (The Great Crime – a half-century of clericalism in Croatia), was written by a former Catholic priest and professor and historian at Belgrade University, Viktor Novak (1889–1977). The book was first published in Zagreb in 1948. Immediately after the book was published, the Vatican Curia placed this book on the Index Librorum Prohibitorum (English: List of Prohibited Books) and pronounced anathema against the author. Novak wrote a trilogy, of which the last part was Magnum crimen (the first two parts were the Magnum tempus and the Magnum sacerdos). A Croat by birth, he has been, since 1924, active among the Serbs. He has held the Chair of Croat History, which was founded at the University of Belgrade in order to promote mutual understanding between the two kindred peoples. One of the determining factors in his life was his visit to Rome before 1914 and his research in the Vatican Archives. As a medievalist he came into a close contact with problems of modern religious life and took lively interest in relations between the Vatican and Catholic Croats. Observing the Roman Catholic Church activities in Yugoslavia for more than fifty years, Novak concluded that this Church replaced the idea of service to God with service to the Roman Curia, i.e., to the government of Roman Pontificate in the role of world leader. As a result of this idea, in the Kingdom of Yugoslavia, the Roman Catholic Church identified the Roman Catholicism to the Croatian nationhood which turned most of its priesthood into ardent Ustashe supporters. The book describes the activities of the Roman Catholic clergy in the Kingdom of Yugoslavia, including their intention and attempts to become above the state, to control the state and eventually the everyday lives of the common people. It has two distinct parts. The first part consists of fifteen chapters, covering the Roman Catholic clericalism from the end of the nineteenth and beginning of the 20th century in Austria-Hungary, then in the Kingdom of Yugoslavia. The second part, the last four chapters, covers the rise and fall of the Independent State of Croatia, and the active support of the Roman Catholic clergy. The main doctrine of the Roman Catholic Church in the Kingdom of Yugoslavia was that (a) the clergy shall be paid by the state as state officials; (b) the state cannot have any control over the Church; (c) the Church has right to be fully involved in the political life of the Kingdom of Yugoslavia; (d) the Church doctrine/religious education shall be a part of primary and secondary school curricula; and that (e) the Roman Catholic Church curricula in the schools shall be obligatory to all pupils whose at least one parent is a Roman Catholic. Josip Juraj Strossmayer’s ideas, of which the most important one was that serving God is equal to serving the people, created close relations between Croats and Serbs by introducing the Old Slavonic language as the liturgical language of the Roman Catholic Church in the Balkans and were aggressively suppressed by the Roman Catholic clergy in Croatia and Slovenia. Ante Pavelić’s nationalism identified Roman Catholicism with the Croat nation, which was actively supported and interpreted by the clergy. The second part of this book focuses on the establishment of the Independent State of Croatia, the active support of this state by the Roman Catholic clergy, and their involvement and support in the extermination and/or forceful conversion of the Serbs and extermination of the Jews and the Roma people. Archbishop Aloysius Stepinac is portrayed in this book as an ardent Roman Catholic crusader who publicly endorsed the establishment of the Independent State of Croatia, acknowledged the Ustashe as Croatian patriots, defended it before the Roman Pope and was responsible for the racist attitude and behavior of his clergy. Wait, you call the Republic of Croatia “a legal Nazi republic” or “a republic that has changed” (to better) ? “Today, it is much more reliable to consult the German and Italian sources on the NDH than the archival material from the Yugoslav archives.” why then use Serbian and Croatian historical sources for this text? The Catholic churches complicity in the horrors of the Ustashe shows another perversion of the church over the years. Pedophilia the most recent.